How does a calf stay warm in the winter? For the first three months, our calves live in a clean, dry individual pen called a calf hutch. 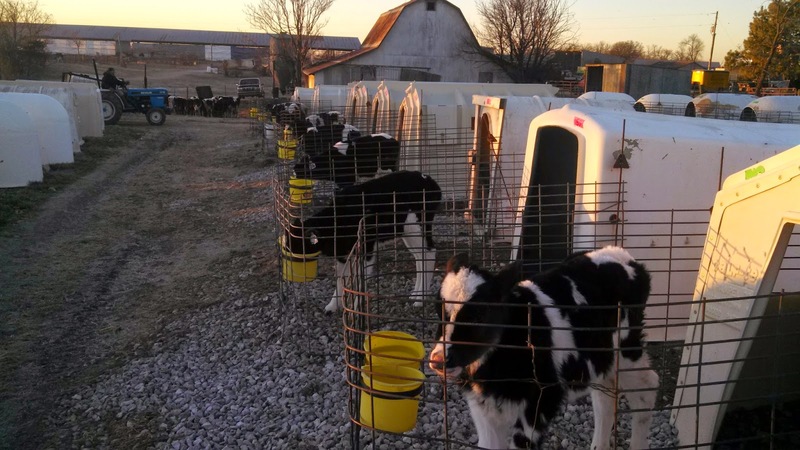 Our hutches are made from fiberglass that provides protection from wind and bad weather, allows ample space for the calf to move freely and protects them from other calves in the herd. When the weather gets really cold , like this past week when temperatures dipped into the teens, we add sawdust shavings or straw inside the hutch for extra warmth and comfort. of warm milk and grain and is monitored closely for any signs or symptoms of illness.